Apple TV owners will have to wait until Apple presents Amazon with "acceptable business terms" before the e-commerce giant releases a long awaited, and highly anticipated, tvOS app for serving up Amazon Prime Video content. Speaking at Re/code's Code Conference on Tuesday, Amazon CEO Jeff Bezos suggested Prime Video will remain off devices made by Apple —or any other company marketing comparable set-top streaming products —until amicable money models are agreed upon. "[Y]ou can always get the video player on the device," Bezos told The Verge, adding that getting "acceptable business terms" is another story. When asked whether Apple's customary 30 percent take of all App Store purchases is a factor in negotiations, Bezos said that "private business decisions should stay private." 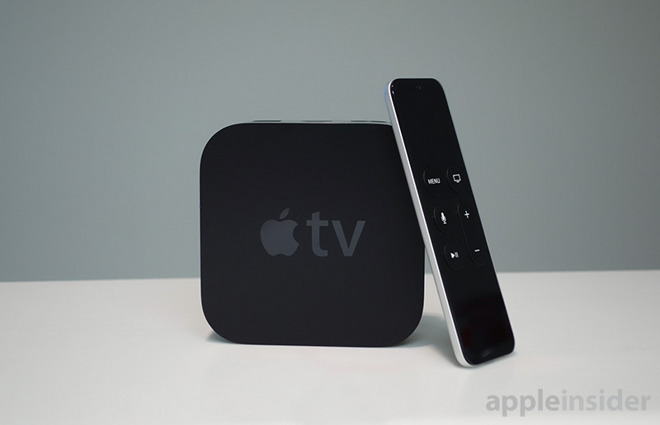 Amazon Prime customers have long clamored for an official Apple TV app to watch videos on the big screen. Hopes were lifted in November when an Amazon customer service representative said development of an Instant Video app for tvOS was already well underway. While the app has yet to launch, it is more than likely that Amazon has indeed prepared for such inevitabilities. Only Bezos is unwilling to open that door. Amazon debuted its own streaming solution in the Fire TV in early 2014, followed by a Google Chromecast competitor called Fire TV Stick a few months later. More recently, Amazon last October removed both Apple TV and Chromecast products from its digital shelves citing potential customer confusion over which streaming devices support Amazon Prime Video. This would suggest Amazon is prepared to return Apple TV hardware to availability if and when a Prime Video app goes live on the tvOS App Store, but judging by Bezos' comments today, it looks like Prime members have a long wait ahead in either case.